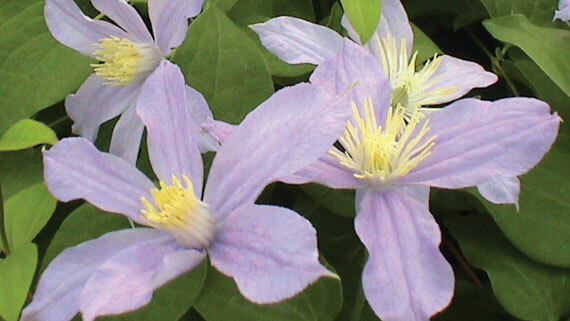 This plant has 3-4” (8-10cm) rosy-purple flowers with a red sheen. The non-clinging stems are very sturdy and are most attractive if grown through a small shrub or attached to a support. The blooming period for these semi-nodding flowers is June to September.